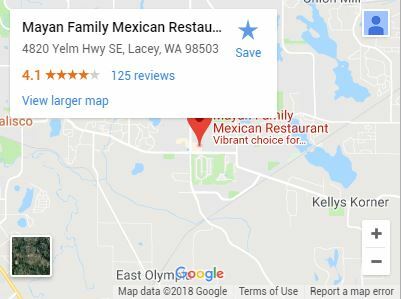 If you’re having trouble deciding which restaurant in Lacey to go to, look no further than Mayan Mexican Restaurants. 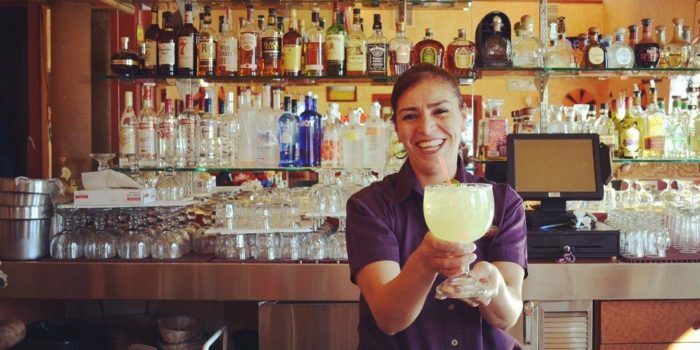 Our three family-owned and operated locations around Lacey serve up authentic recipes for a night out. 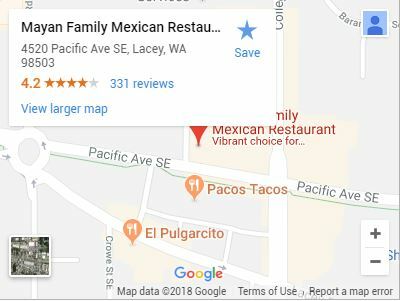 Mayan Family Mexican Restaurant opened in 1996 with the mission of being the best traditional Mexican restaurant around. 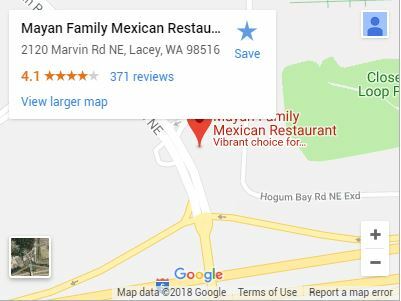 Now, with three locations in Lacey, we provide an upbeat and zesty dining experience from our family to yours. and picante dishes bring flavor and relaxation to a tough workday. Watch Monday Night Football on our big screen TVs. Our menu lists a flavorful variety of Mexican favorites, like fajitas, tacos, burritos, and enchiladas. Plus, you won’t find the kind of quality of slow-roasted carnitas, chicken, or carne asada anywhere else! Felipe’s Platter: Sauteed shrimp, mushrooms, skirt streak in an enchilada filled with Monterey Jack cheese. Jose’s Platter: A combination plate of chicken and steak. 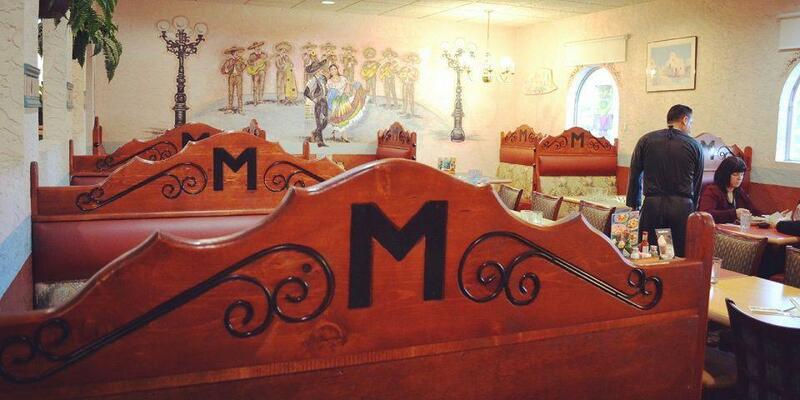 Enjoy the Food and Atmosphere At Our Authentic Family Mexican Restaurant! Our family-friendly cantina has live music along with ice-cold margaritas, cervezas, and other cocktails to help you unwind. Plus, our bar and kitchen remain open long into the night, so that our customers can get late-night drinks and exotic flavors. Most of all, we pride our restaurant on having gourmet, authentic Mexican food passed down for generations from our family to yours. Come to our restaurant today for an authentic experience of Mexican Cuisine!